Public Domain Picture: One more push! Staff Sgt. 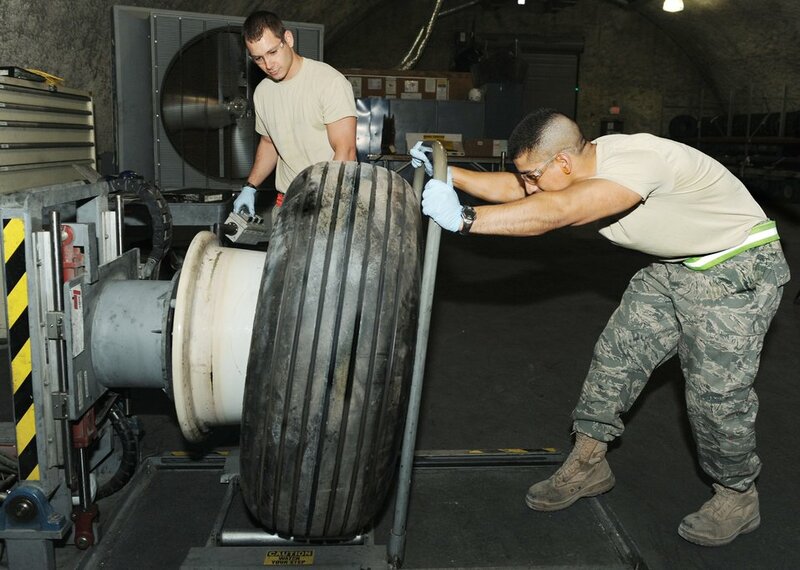 Juan Hernandez (right) and Senior Airman Nick Bentler build-up and overhaul an E-8C J-STARS aircraft wheel and tire assembly March 16, 2010 at an air base in Southwest Asia. The Airmen are assigned to the 379th Expeditionary Maintenance Squadron.